Columbia and other elite universities frequently lure highly accomplished faculty of color away from one another to meet their diversity goals. Anna Hidalgo, GSAS ’16, recalls feeling like a “trophy” when she began applying to graduate schools in 2014. With a bachelor’s degree from Brown University and five years of experience in public health research, Hidalgo was a strong candidate for Ph.D. programs at elite universities like Columbia. But as a Latina student, she was also one of only a few candidates who both met Columbia’s criteria and would add to the diversity of the program, she said. Columbia has allocated $185 million to efforts to diversify its faculty since 2005, including a $100-million commitment this semester, establishing itself as a leader of faculty diversity among peer institutions. But diversity among graduate students at the University lags behind the national average, as do other Ivy League schools. And within Arts and Sciences, minority professors make up just 21 percent of the total faculty, a number that has increased by only one percent since 2011. This is due in part to the fact that the pool of minority Ph.D. candidates and young faculty who apply to Columbia—and who meet traditional criteria for acceptance at prestigious universities—is extremely narrow. Columbia’s pipeline programs, which prepare undergraduate students of color to apply to graduate programs by providing research experience and mentorship, have proven successful, yet they only receive a small sliver of the University’s diversity spending—15 percent of the most recent diversity commitment on the Morningside campus. There is only one pipeline program in the Graduate School of Arts and Sciences, and it aims to guide students of color to a Ph.D. in the natural sciences. As a result, Columbia and other elite universities frequently lure highly accomplished faculty of color away from one another to meet their diversity goals. These faculty members are often placed directly into tenured positions. 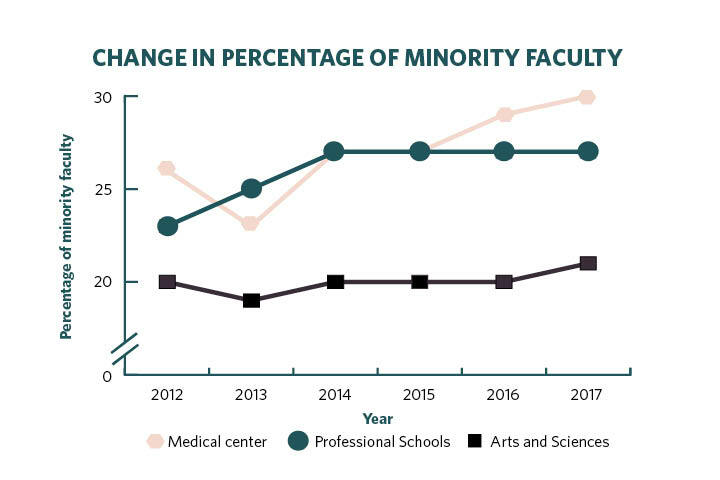 Meanwhile, the total number of minority faculty on the tenure track has remained stagnant across universities nationwide. Diversifying Columbia will hinge on diversifying graduate programs, as these programs ultimately lead students to professorships. Faculty have also argued that, in order to bring in more diverse professors, Columbia departments will have to expand the number of institutions from which they draw “recruitable scholars”—currently limited to students at small number of institutions seen as Columbia’s peers—and hire them in clusters. More fundamentally, increasing the number of diverse scholars across academia will depend on investments in pipeline programs that support students as early as middle and high school—a goal at which certain pipelines at Columbia’s medical campus are already succeeding. Despite incremental growth in the number of faculty of color at Columbia, its graduate schools remain markedly less diverse. 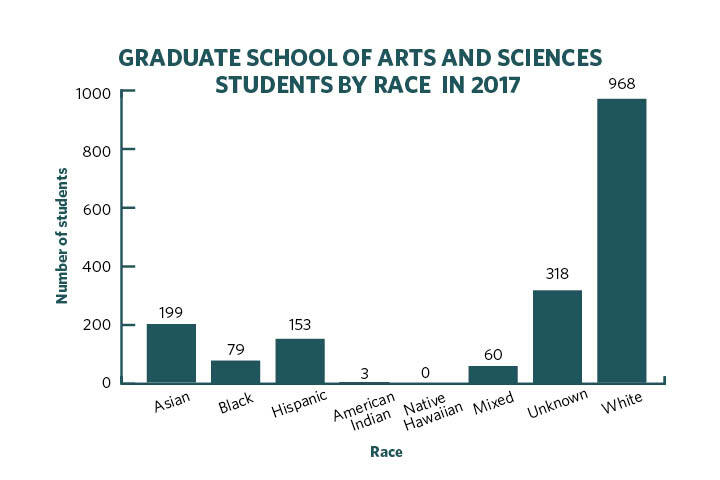 The Graduate School of Arts and Sciences’ student body is just 2 percent black and 4 percent Latinx. Nationally, black and Latinx students make up 14 percent and 17 percent of graduate students, respectively. But most other Ivy League graduate schools’ demographics are comparable with Columbia’s—Princeton, for example, has the same percent of black and Latinx graduate students. Pipeline programs receive less than 15 percent of Columbia’s total diversity spending on the Morningside campus. In interviews with Spectator, faculty, administrators, and graduate students all pointed to a small pool of diverse applicants as a primary reason for this lack of diversity. Because most undergraduates in pipeline programs end up applying elsewhere for graduate school—and Columbia departments do not typically hire their own Ph.D. recipients as junior faculty—Columbia’s investment in such pipelines doesn’t lead to a direct payoff for its diversity numbers. Hidalgo said that, like many students from underrepresented backgrounds, she initially never considered entering academia. Her mind was changed when she participated in the Mellon-Mays Undergraduate Fellowship, a program sponsored by the Mellon Foundation that provides minority undergraduates with research experience and helps them apply to graduate school. She now researches the sociology of academic networks in higher education. While graduate and professional schools across the University fund unique pipeline programs, there is only one Ph.D. pipeline program in Arts and Sciences—the Bridge to the Ph.D. Program in the natural sciences, led by astronomy professor Marcel Agüeros. The program has helped over 40 students apply to graduate programs since its creation and is touted by Vice Provost for Faculty Diversity and Inclusion Dennis Mitchell as one of Columbia’s strongest pipeline programs. 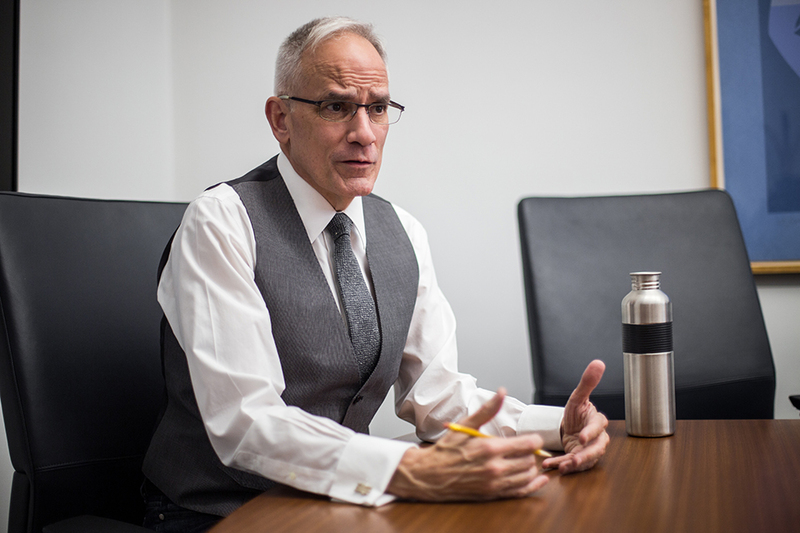 In response to questions about whether the bridge program could be replicated or expanded in other disciplines, Mitchell told Spectator that while he feels the University is robust in its support for pipeline programs, expansion is still a possibility. In an interview with Spectator, University President Lee Bollinger acknowledged that funding pipelines means an investment in Ph.D. students who will largely go on to work at other Universities. He added that significant changes in faculty diversity will depend on an increase in funding for pipeline programs at the majority of other elite universities. Bollinger left the option to divert more funding to pipeline programs open, but defended the University’s decision to spend 85 percent of its diversity commitment on the Morningside campus to recruiting faculty, rather than pipelines. Alonso said that cluster hires were not a common practice within Arts and Sciences. 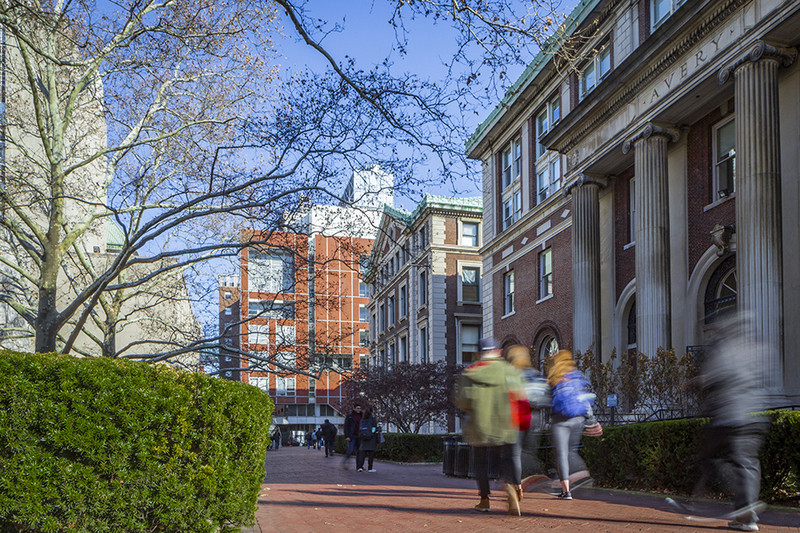 Faculty underscored that, regardless of the size of Columbia’s investment in bridge programs, systemic change will depend on the development of more programs across academia. Many scholars of underrepresented backgrounds interviewed—especially in the humanities and social sciences—said that they do research in interdisciplinary areas, like critical race theory or postcolonial studies, that do not typically have a place in any single department. This can make it difficult for scholars of color to find a department willing to support their work; currently, Columbia’s Institute for Research in African-American Studies and its Center for the Study of Ethnicity and Race are not full departments with hiring power. Meanwhile, long-standing departments that are predominantly white tend to focus on the same fields of research over time. Only one professor in the history of Columbia’s English department, for example, has specialized in Latinx studies. “It’s kind of a battle from two different sides. One, you’re fighting just to say this frame of research is relevant, and the other side is you still don’t have it all figured out. You have to fend off people who are questioning whether your work is pragmatic,” said Dominic Walker, a Columbia Ph.D. candidate researching pipeline programs for minority students at elite schools. GSAS has taken some steps to better retain diverse grad students—it offers a $6,000 stipend to Ph.D. candidates who contribute to the University’s diversity goals, has an office of academic diversity specifically for its students, and, following advocacy from graduate students of color, started a research collective for interdisciplinary studies. But Ph.D. students of color argued that the University could provide more sustained support by ensuring they have more reliable access to mentorship from faculty of similar backgrounds. According to sociology professor Alondra Nelson, who previously served as dean of social science, broadening the range of recruitable schools has contributed to a growth in faculty diversity, a scope that can continue to be expanded beyond the schools that are traditionally considered Columbia’s peers. 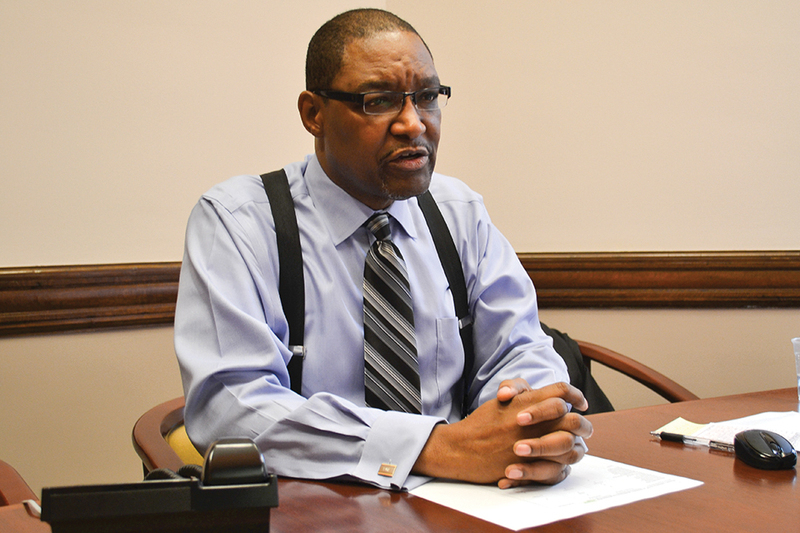 Administrators said it’s possible that the University will implement pipelines like Hutcherson’s at the Morningside campus. Faculty who are invested in making Columbia more diverse have pointed to the practice of “cluster hires” of faculty of color in the same discipline to jumpstart a cultural shift in departments that have been historically white. Published research indicates that cluster hires are an effective way to increase diversity. According to Alonso, cluster hires are not a common practice across the Arts and Sciences departments. He added that, because faculty-run departments control hiring, administrators have little power to drive more cluster hires. In the future, however, a greater share of the University’s commitment to faculty diversity could go toward strategic cluster hires across departments. When speaking of initiatives to put students on a path to graduate degrees, Mitchell and Bollinger pointed to an array of robust pipeline programs based at the Columbia University Medical Center. At the medical center, Associate Dean for Diversity Affairs Hilda Hutcherson oversees four pipeline programs that help more than 80 undergraduates apply to M.D. programs annually—these are funded by the College of Physicians and Surgeons, rather than by Columbia’s faculty diversity commitment. “If anything I would argue that the medical center leads this university for pipeline programs, especially for diversity. It’s not even close,” Mitchell said. Hutcherson also leads pipeline programs that provide support to teenagers in New York public middle and high schools. While she said this is primarily an effort to give back to the neighborhoods that surround CUMC, Hutcherson said that such programs are necessary to improve faculty diversity. Bollinger said it’s possible that the University will implement pipelines like Hutcherson’s at the Morningside campus. Students and faculty emphasized that diversity among faculty and diversity among Ph.D. students are closely linked. Both will depend not just on incremental shifts in faculty demographics, but on an underlying change in culture that prioritizes diversity at all levels.